I was stand high on the “Golden Mount” waiting for some sunset colors – this was before I found out that they closed the temple before the sun went down – when I looked down on the level below, here I saw this monk fiddling with his mobile phone or maybe it’s an mp3 player of some kind. Anyway I made this photo of him. 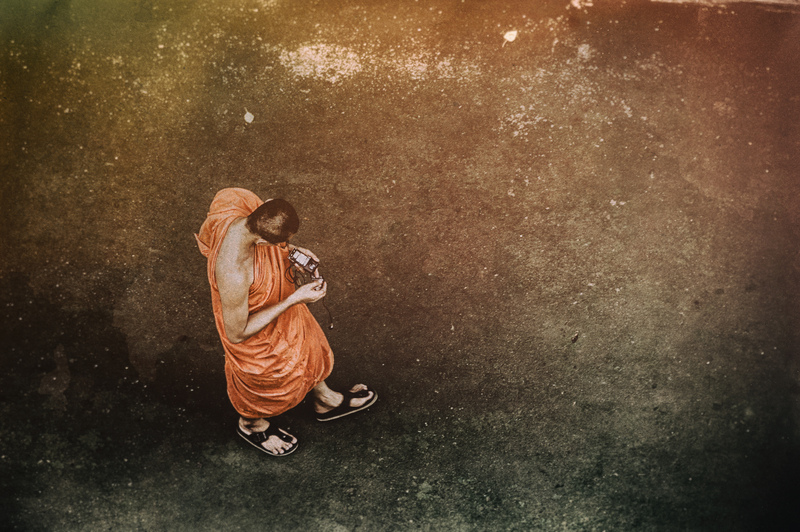 The Monk and His Mobile by Bo47 is licensed under a Creative Commons Attribution-NonCommercial-NoDerivatives 4.0 International License.